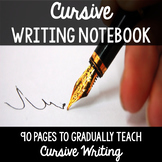 It's never been easier for middle school and high school teens to learn cursive. 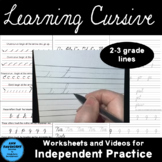 Learning Cursive: Handwriting Practice Workbook for Teens, provides extensive focus on cursive letter and sentence formation. 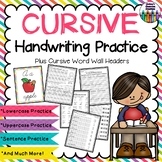 This cursive handwriting workbook for teens contains more than 20,000 cursive tracing units. 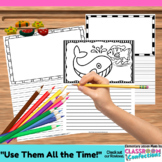 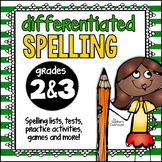 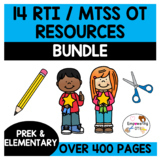 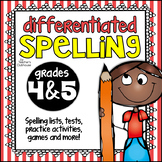 Worksheets or a booklet that teaches 2-3 cursive letters at a time. 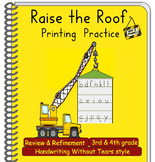 After the kids work their way through lower case they will move on to upper case - which allows the teacher to use the student's names. 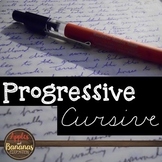 The kids are always excited to learn how to write each others names in cursive. 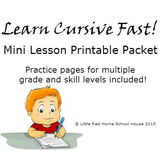 Cursive Handwriting Practice ~ Upper & Lowercase, Sentences, & More!